These “Centennial Canticles” are festive in spirit and display Bruce Neswick’s mastery of choral expression. 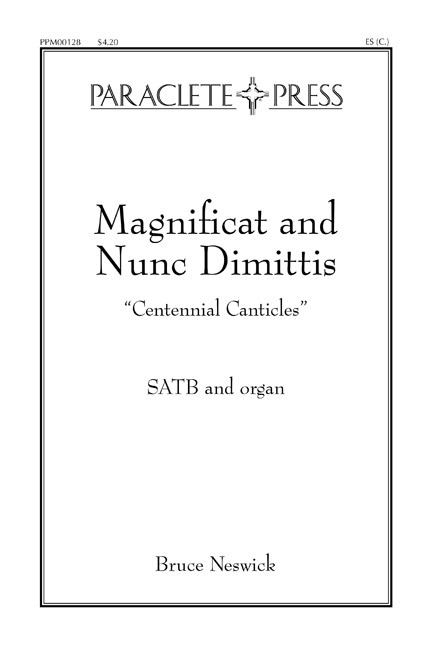 The sturdy theme is announced immediately in the organ and is developed throughout the canticles. Each part of the text is given a slightly different harmonic and melodic variation on the theme giving a sense of unity throughout. The organ part is discreetly supportive and the choral parts are mostly in the central portion of the range. This would be a splendid addition to the repertoire for Evensong.